Welcome to All Sensors “Put the Pressure on Us” blog. This blog brings out pressure sensor aspects in a variety of applications inspired by headlines, consumer and industry requirements, market research, government activities and you. 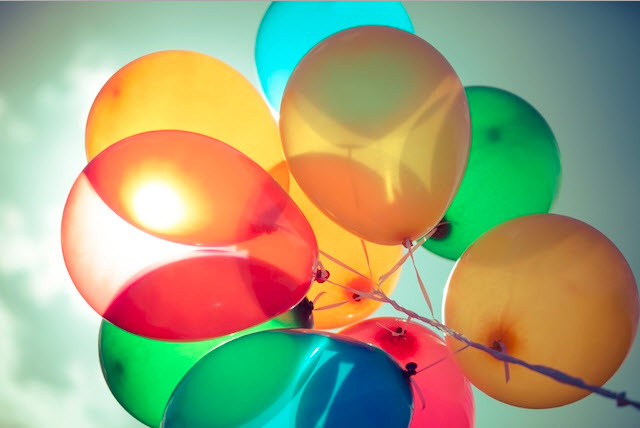 In this blog we’ll discuss pressure within everyday celebratory balloons. Happy birthday! Happy anniversary! Congratulations! Balloons take celebrations to the next level – the more balloons, the bigger the celebration. Often, the climax is a balloon drop. And how do those balloons get inflated – from pressure. What other physical measurement parameter plays such an exhilarating role? If you have ever had to personally inflate a lot of balloons, the possibility of over inflation and the subsequent and shocking pop is always a concern. So, how much pressure can an inexpensive, thin-wall latex balloon withstand? One experiment shows that the balloon reaches a relatively constant pressure of 810 mmHg until it gets close to its maximum elasticity point and then increases to 820, 830 and finally 840 mmHg when it pops. More extensive testing of Mylar balloons conducted by the Federal Department of Aviation in Denmark shows that the pressure required to explode a Mylar balloon at a temperature of 13.8°C and a height of 400 meters is 677 mm Hg. In the same tests, a latex balloon at -20.9°C and a height of 9200 meters required 228 mm Hg. It turns out that the physics of inflating a balloon are well defined by several laws that show the relationship of pressure to temperature, volume, density and more. The inflation process can use a pump or simply the exhaling of air from a person. For those with breathing difficulties, the pump is a preferred and perhaps necessary tool. In fact, the pressure developed from breathing is a key medical measurement to analyze respiratory health. The pressure range for this measurement is about 4 kPa or 30 mmHg and the greater the pressure that the person can develop, the better. If you are celebrating something or in good health –party on. Welcome to All Sensors “Put the Pressure on Us” blog. This blog brings out pressure sensor aspects in a variety of applications inspired by headlines, consumer and industry requirements, market research, government activities and you. In this blog we’ll discuss pressure and the role it plays in transporting physical goods. Since considerable force can be generated under the right design conditions (P=F/A, F=A*P), pressure can be used for some rather interesting purposes including the transporting of physical goods. For example, Costco uses a pressurized delivery system from Air Tube Transfer (ATT) Systems to deliver documents in some of its warehouses. According to Ken in the Service Department at the local Costco, the first reason was security, while agreeing that the pneumatic transport saved time in transferring documents from one place to another. A 500-ft system can deliver its payload in less than 14 seconds. The security results from the use of a locking box station. These types of systems can be one-way with an auto send, semi-automatic, point-to-point, two-way and automatic. In any case, a blower is used to move the tube, sometimes with an integrated control pack. One technique to create the movement uses a small amount of compressed air injected into nozzles to produce a vacuum on end of the system and high output flow at the other. A pressure regulator controls the flow rate. Pressure and vacuum pneumatic conveying are also used in material handling systems for transporting flour, salt, sugar, pepper, coffee, peanuts, cereal and many other bulk materials. 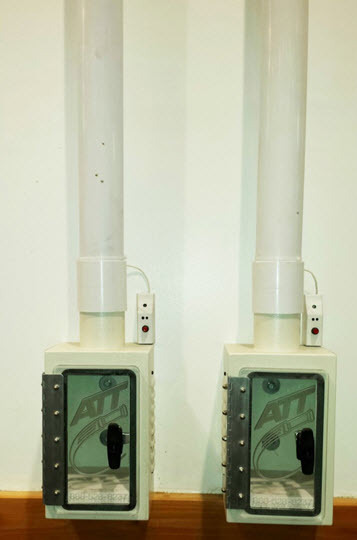 In medical facilities, air operated conveyors protect the chain of custody transport of samples and specimens. For handling toxic products, vacuum conveying systems that operate down to -400 mbar (-300 mmHg, -12 psi, -40 kPa) can be used for transporting different payloads over short distances. Dilute phase pneumatic conveying installations for transporting bulk powders and granulates have a conveying velocity of 15-30 m/sec and can operate at conveying pressures up to 1 bar (30 psi, 100kPa). Whether the chosen transport approach uses vacuum or pressure, the end result is a problem solved using pressure. Welcome to All Sensors “Put the Pressure on Us” blog. This blog brings out pressure sensor aspects in a variety of applications inspired by headlines, consumer and industry requirements, market research, government activities and you. In this blog we’ll discuss our new XHB Series. All Sensors has announced a new line of basic millivolt pressure sensors, ranging from 1 to 70 PSI. The XHB Series Pressure Sensor provides an uncalibrated and uncompensated analog millivolt output signal and is intended to be used with dry air and non-corrosive gases. Miniature DIP housing allows for through-hole PCB-mounting and maximum OEM design flexibility. This series provides an operating temperature range of -40°C to 85°C, and pressure ranges include 1, 5, 15, 30, and 70 PSI.